Bruce hasn't connected with their friends on Goodreads, yet. 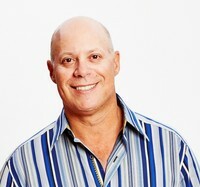 Bruce D Schneider, Ph. D., is founder and CEO of iPEC. Bruce is often referred to as a modern day philosopher whose seemingly endless insights are thought-provoking and transformational. A powerful, entertaining, and charismatic speaker, his seminars, keynotes, workshops, and coaching sessions have helped countless others transform their lives. Bruce is a Master Certified Coach, Licensed Psychotherapist, and a pioneer and innovator in the fields of professional coaching and human potential. To ask Bruce D. Schneider questions, please sign up.